Applications are now open for the 2019 Science and Innovation Awards. 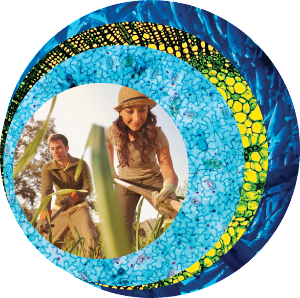 If you’re 18-35, this is your chance to apply for a grant of up to $22,000 (inc GST) to fund your project on an innovative or emerging scientific issue that will benefit Australia’s primary industries. There’s 13 industry award categories available in the 2019 round – cotton; dairy; eggs and poultry (layers); established, new and emerging rural industries; fisheries and aquaculture; forest and wood products; grains; health and biosecurity; meat and livestock; pork; red meat processing; viticulture and oenology; and wool. Applications close on Friday 12 October 2018. The Award winners will be publicly recognised as part of the ABARES Outlook 2019 conference in Canberra in March 2019. Since they were launched in 2001, the Science and Innovation Awards have helped more than 230 young researchers, innovators and scientists turn their ideas into reality through more than $3.7 million in grant funding. Be a part of the 2019 round and apply today! be working, employed or studying in an agriculture, fisheries or forestry related industry (including food and sustainable natural resource management). Proof such as a letter of employment, scholarship or pay slip may be requested. not be employed by a sponsoring organisation in the award category they are applying for, and not have an immediate family member (eg a sibling or parent) who is employed by a sponsoring organisation in their selected award category. not be employed by an Australian Government agency classified as a Non-Corporate Commonwealth Entity under the Public Governance, Performance and Accountability Act 2013. Employees of entities that are classified as Corporate Commonwealth entities are eligible for the Awards. Employees of entities classified as Non Corporate Commonwealth entities are ineligible for the Awards. Corporate Commonwealth entities are legally separate from the Commonwealth, whereas non-Corporate Commonwealth entities are part of the Commonwealth (see PGPA Act, Section 11). For advice on the entities and how your employer is classified, visit the Department of Finance’s website. If you are unsure about your eligibility, please contact the Science Awards team at scienceawards@agriculture.gov.au.